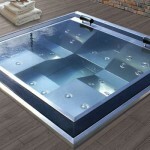 Ceramic Pools Compass are made of fibreglass using a patented technology of ceramic core and additional layers to resist European climate weather conditions. With their aesthetic appearance, they meet the requirements of customers with the highest expectations. They are fully resistant to water infiltration of the pool shell, and suitable for salt water. Ceramic pool has a lifetime exceeding 80 years. They include IQ VANTAGE self-cleaning system. We offer a wide scale of ceramic pools, from children’s pools to the most luxurious Yacht Pool. They have the highest quality on the market. Our turnkey solutions provide our customers with maximum quality and satisfaction. Ceramic pool FUN is one of the most popular Compass pool. It has two separate staircases and excellent anti-slip features. 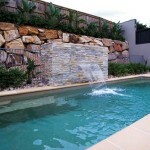 Stainless steel pools are among the most exclusive and superior pools worldwide.